Dive headlong into two of Tokyo’s most colourful neighbourhoods. 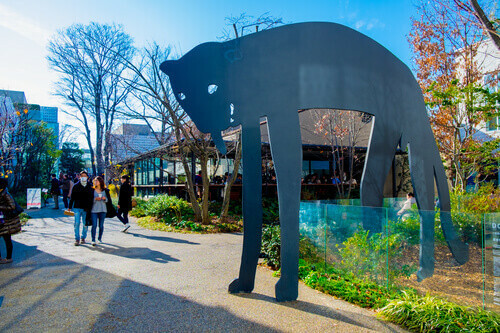 Begin in youthful Harajuku, where edgy boutiques line Omotesando Avenue and Cat Street and all things cute reign on Takeshita Street. 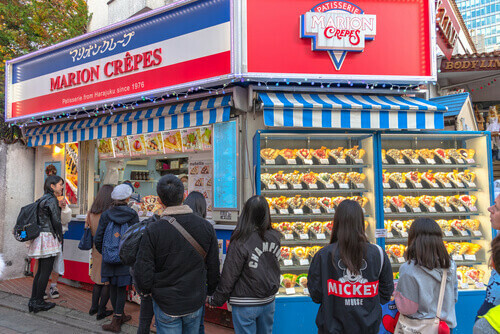 Pick up a decadent crepe from the stalls on Takeshita and find a perch to indulge in top-notch people watching as you eat. If your visit falls on a Sunday, venture to Yoyogi Park to see Harajuku’s most dedicated cosplayers dressed to the nines. For a more traditional cultural display, discover Tokyo’s greatest collections of ukiyo-e woodblock prints at the nearby Ōta Memorial Museum of Art. 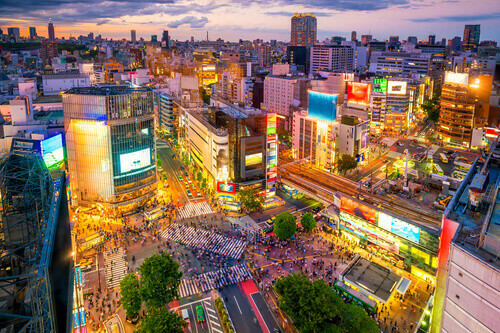 North of Harajuku, futuristic Shinjuku buzzes with shoppers and salarymen by day and becomes a sea of neon at night. 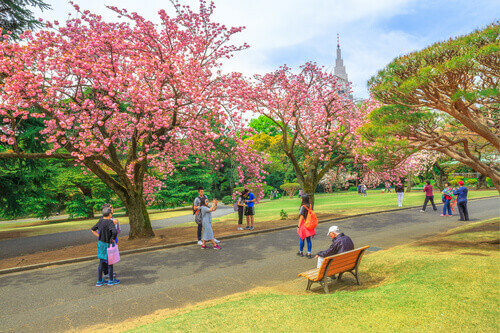 Prepare yourself for the madness with a wander through the serene Shinjuku Gyoen National Garden, before hitting the bustling streets for dinner. From Michelin-starred sushi to ramen ordered via vending machine, it’s impossible to go hungry here, on any budget. Night owls will feel at home in the smoky izakayas (Japanese gastropubs) of Memory Lane beside Shinjuku Station or the miniscule bars of the Golden Gai. If something more sophisticated appeals, see Shinjuku from 52 floors up at the Park Hyatt’s New York Bar. Set the alarm for breakfast at Tsukiji Fish Market. Although the famed wholesale market relocated to the new Toyosu Fish Market late last year, the Outer Tsukiji Market is still trading in some of Tokyo’s best street food. Going early is a necessity to get first dibs on as-fresh-as-it-gets seafood such as meticulously prepared sashimi, oversized oysters and scallops and prawns seared on open grills. 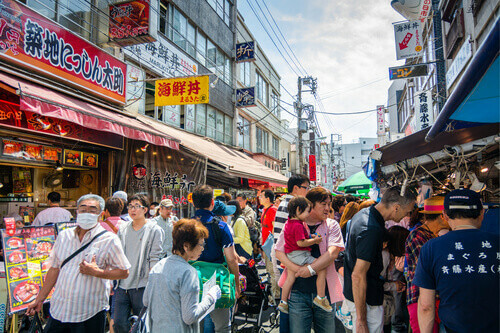 Other stalls sell snacks such as tamago (egg omelette) and hot pastries, along with dried goods and specialty cookware. Once you’ve had your fill, cross over into neighbouring Ginza. 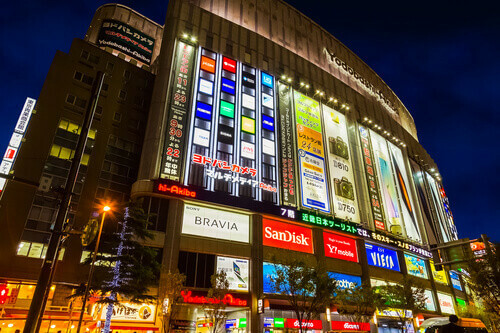 Gleaming Ginza lays claim to some of the most expensive real estate in Japan. Between department stores such as the venerable Ginza Mitsukoshi and boutiques peddling every imaginable luxury, it’s possible to do some damage with a credit card in Ginza. On weekend afternoons, the thoroughfare Chuo Dori is closed to cars to become a hokosha tengoku (pedestrian paradise). 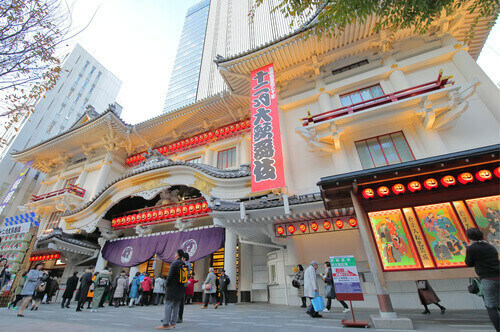 Once you’re all shopped out, experience the time-honoured art of Japanese Kabuki theatre at Kabukiza Theatre. The ‘evening’ shows typically begin at around 4pm. Post-theatre, splash out on an omakase (chef’s menu) in one of Ginza’s legendary sushi bars. Dedicate your morning to one of Tokyo’s most popular public spaces, Ueno Park. 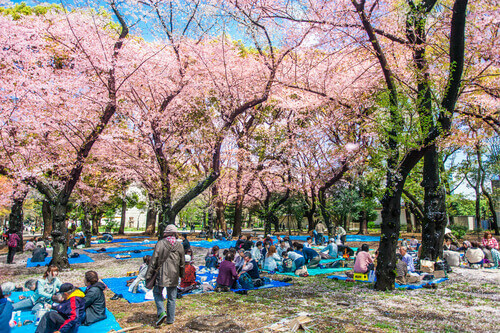 The expansive former grounds of the powerful Kan'ei-ji Temple have become a cultural hotspot (and immensely popular during cherry blossom season). One of the few remnants of the former temple grounds is the lotus-filled Shinobazu Pond, with the five-storey pagoda Bentendo Temple at its centre. Culture vultures will be in heaven in the many museums that now inhabit the park, including The Tokyo National Museum, National Museum of Western Art, Ueno Royal Museum and National Museum of Nature and Science. 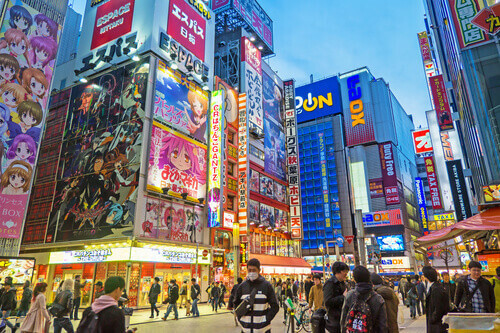 Brace yourself for a day in Akihabara – the home of Tokyo’s electronics industry and otaku (the obsessive cult of Japanese manga and anime). As soon as you emerge from the station, you’re confronted with emporiums plastered with supersize cartoon characters, howling arcade halls and costumed performers handing out pamphlets to theme cafes. Even the least tech-savvy individuals will find fascination in the geek culture oozing from every corner of ‘Akiba’. In the Sega, Hirose Entertainment Yard (HEY) and Super Potato arcades, gamers chase glory at a mind-boggling variety of consoles. The jam-packed shelves of Animate and Mandarake sell every imaginable kind of anime and manga, and the merchandise to go with it. In Volk can be found every supply a hobbyist could ever need, while Yodobashi is a nine-storey temple to electronics. Once you need a breather from all that otaku, join the queue outside Tonkatsu Marugo to sample tonkatsu (breaded pork cutlet) with Michelin cred. Or try one of the dozens of curry joints that make Akihabara Tokyo’s favourite place for the classic comfort dish, such as Karē wa Nomimono. Complete a surreal day with a show at Dear Stage, where amateur performers pursue their dream of becoming pop idols. Start your day in Daikanyama, a genteel enclave frequented by well-heeled Tokyoites. Within the leafy Daikanyama T-site, Ivy Place serves Western-style breakfasts from 7am (a bit of a rarity in the surprisingly late-rising Tokyo). Afterwards explore Dainkanyama’s stylish boutiques. Lose yourself in Tsutaya in Daikanyama T-Site, three interconnected buildings brimming with books, magazines and music; covet salvage denim at UES; discover traditional indigo-dyed textiles in Okura; and wander Daikanyama Log Road – a peaceful strip of shops and gardens occupying an old train track. As you head northward out of Daikanyama, low-rises give way to the skyscrapers of Shibuya proper. 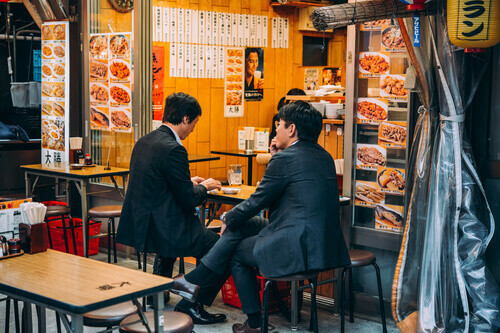 Fuel up with an espresso from About Life on Dogenzaka and stroll on to gawp at the Shibuya Crossing and the thousands of retailers lining the busy streets. When hunger strikes, try one of the low-key eateries that abound in Shibuya’s backstreets such as cheery Kaikura by the Sea in the south or the tiny boltholes on Nonbei Yokocho alley near Shibuya Station. Finish with a nightcap of Japanese whiskey at Grandfather’s; a stalwart where the walls are lined with thousands of vinyl records. The four seasons: when should I travel to Japan?